How Acara’s Shannon Callahan Opens Doors for Clients - Acara Solutions, Inc.
Shannon Callahan is one of Acara’s top performers. As an account executive in the workforce solutions industry, she is responsible for managing existing relationships with employer-clients, generating new relationships with local businesses, and connecting right-fit candidates with employers in ways that change lives. 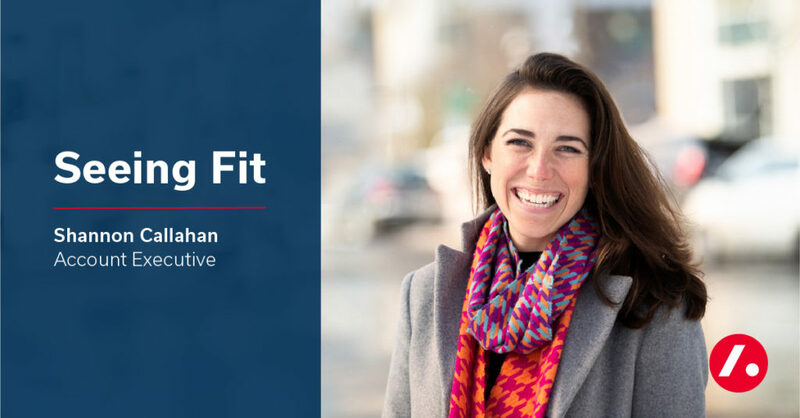 In our inaugural Seeing Fit interview, she lets us in on her keys to success, and why she won’t stop paying $3.21 for her morning cup of coffee. We’re trying to find long-term, right-fit hires for our clients, and to do that, we need to check all the boxes that the company needs. But we’re not with them 40 hours a week. We only know what we can read in documents and hear in a meeting and see in person. So, going in, immersing ourselves, and fully understanding the company to the best of our ability is imperative. I’m always trying to learn more about a client. I want to learn about their hiring process, their organization structure, their company culture, what tools and resources they use, if they have any challenges we can come to a partnership on. I take tours of manufacturing sites. I observe the product that our clients make and the services that they sell. I meet with all different departments and notice how they interact. That helps me develop an understanding of what the challenges are and what kinds of candidates they’re looking for in regard to skill set and background and, of course, personality and reasons for seeking employment. And then I try to open new doors and avenues to them. The fact that I have the opportunity to go out into Western New York and take these meetings and learn about all these different companies in all these different industries is awesome. There are so many places and businesses and services that I didn’t even know were provided or headquartered here in Buffalo, like a protein powder company and a company that makes all the games that you see in Dave & Buster’s. I have the ability to make my own schedule. I’m held to high standards, but at Acara, if you can meet your goals, you have the ability to choose when you’re in the office, choose when you’re out of the office. And the harder you work, either networking or on the phones or doing your research ahead of time, the more opportunity you have to be out of the office in meetings and developing relationships. The most challenging part of our business is that we’re not talking about a widget. We’re talking about people. We provide a service that provides candidates to companies. So, there are many variables. Candidates and companies will suddenly change their plans, and we have to be responsive to that. We hired a service tech for this one company, and the candidate was in Florida, but he had ties to Buffalo. So, he was moving home. He packed up and was driving to Buffalo when the company said that the position no longer existed, and they couldn’t hire him. Now you have a guy that’s completely turned his life upside down and the company pulls the job. So, it’s our duty to do what’s ever in our power to get this candidate a new position. Luckily, we’re connected to so many companies that we did something called skill marketing. We went through all of our contacts that might be hiring a service technician or have hired service technicians in the past, explained this guy’s background, his skill set, and why he would be a good fit for each company. We actually got him two phone interviews on the way back to Buffalo and then two in-person interviews when he got here. He started at a new company the week following his arrival. The unemployment rate is so low across the board right now, and, in my opinion, it’s even lower for professional and technical candidates. So, we need to fully understand the company that we’re recruiting for, the projected growth of the role, the projected growth of the company, what the benefits are—the 401K, the PTO—and what the culture is like. Do they have happy hours? Do they do fun things? Do they go to football or hockey games together? Candidates want to know those things, and we need to sell them on it. We’ve seen a lot of new technology come in, but I think we’re still missing the ability to recruit on someone’s personality. So, I think you’ll start seeing more video interviews, or some format that gives a gives a sense of a candidate’s personality better than a resume can. I keep everything pretty basic and simple. My emails are to the point. I respond to everything that I receive as soon as possible. I let them know either the answer to their question or that I’m reviewing it. And I can be reached in both good times and bad. So, if something happens, you’re not going to not be able to find me. I’m probably calling you first. That’s my customer service hat. My goal is to be proactive in the face of challenges, to let clients know I have deep resources in good times and bad. On the business development side, I’ve been told that I’m politely persistent. So, if you tell me to call you in six months, I’ll call you in three months and ask you if the six-month mark is still the appropriate time to follow up, just so I stay relevant in your mind. We truly are in it for long-term partnerships. And again, we are in the business of people. So, you have to be open. Any time a sticky situation comes up, either between the company or the candidate or us and the company, the goal is to get out in front of that company immediately. If that happens, I’ll call that company immediately and ask if I can stop by the next morning. I’ll request that we meet face-to-face to come up with a plan. Before I joined Acara, I was managing a cocktail bar, and one night I saw a party walk in and out. I followed them out of the bar, and I told them I was sorry nobody greeted them because it was very busy, and I offered them a table up front if they wanted to sit down. They said “Okay, sounds good. Thanks,” and came back in. One of those guests ended up being Acara’s CEO. I deal with a lot of candidates that are trying to get out of the retail industry, and if they don’t have any industry background, it can be hard to break into the corporate world. So, Acara took a very big chance on me. I think they saw some sort of customer service piece in me that they thought would translate to the professional business world. I usually wake up around 6:15. I spin for 20 minutes in the morning on a little bike. I call it the poor man’s version of a Peloton. It’s just a basic spin bike and then I pay $16 a month for the Peloton app instead of $3,000 for the official setup. So, I spin for 20 minutes. Then I get ready for work. I wear the same shirt pretty much four out of five days of the week. I have multiples of it. It’s a three-quarter sleeve mock turtleneck. I have it in many colors. I wear it with different pants. It makes my life really easy. Then I go to Starbucks for an Americano. I order it from my app, and why I choose to spend $3.21 every day on coffee when I could drink if for free at work is because the Starbucks at Chippewa and Delaware In Buffalo is the best. Everyone holds the door for you. They say hello. I thank them for my drink, and they say you’re welcome. I think it’s the best way to start my day.